This is a limestone formation in Waitomo New Zealand. Limestone is a sedimentary rock which is largely made up of skeletal fragments of marine coral and foraminifera. 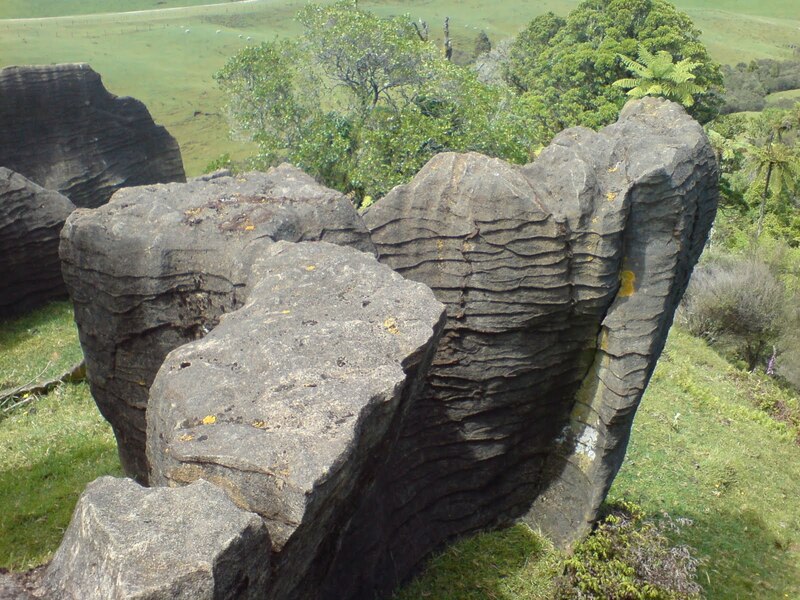 As it's partially soluble in water it is easily eroded forming karsts, cave systems, potholes and outcrops like this one in Waitomo, New Zealand.